The above downloadable handout is best suited for high school students and adults at Beginner (pre-A1) and Elementary (A1) level. 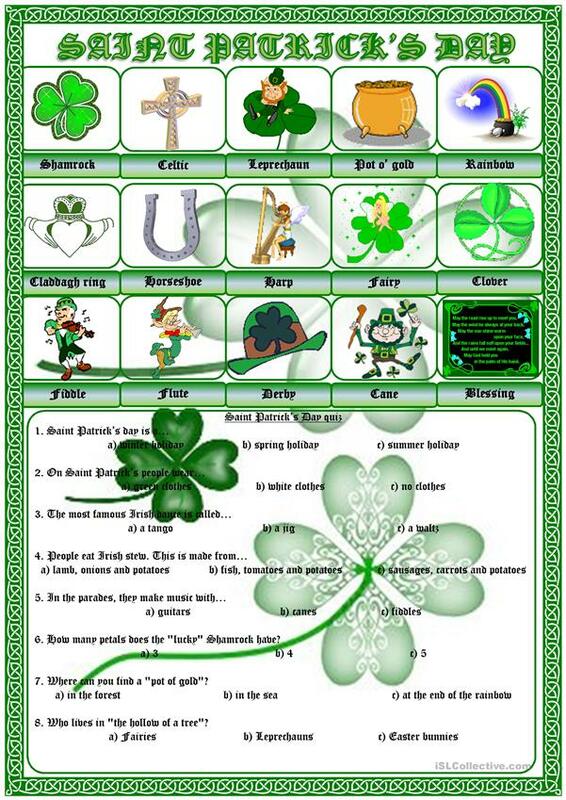 It can be used for enhancing your pupils' Reading skills. 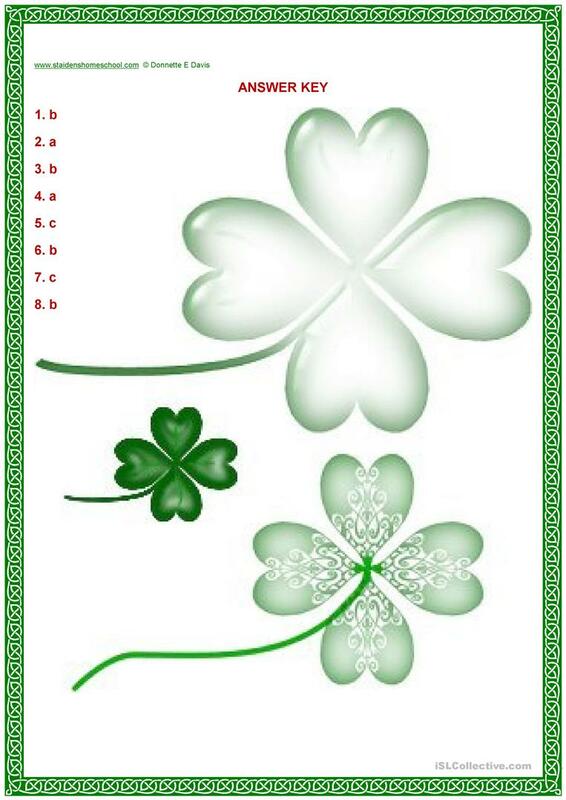 It features the vocabulary topic of St.Patrick's day. The exercises come with answers.